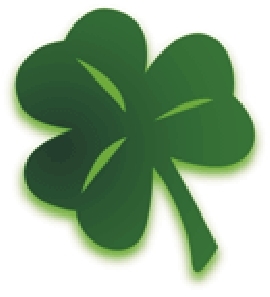 1762: The first St. Patrick’s Day parade is held in New York city by Irish soldiers in the English army! Yup, you read it right. Following is what author Conor Cunneen writes about St. Patrick in For the Love of Being Irish an A-Z of Ireland featuring history and humor vial limericks and prose. But Irish? St Patrick? He ain’t! St. Patrick’s first visit to Ireland did not exactly evoke images of “Ireland of the Welcomes.” Captured by marauding Irish warriors, the Welsh or Scottish born 16 year old spent about 6 years in Ireland as a slave. Following his escape, precipitated by a voice from God telling him to leave, he became a priest. He then returned to Ireland bringing the Catholic faith and legend has it drove the snakes out of Ireland! 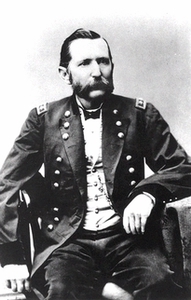 1820: Civil war Union General Patrick Edward Connor is born in County Kerry. Honorably discharged from the army following the Mexican war, he again volunteered during the civil war and was appointed Colonel of the Third California Infantry. Following the civil war, Connor settled in Utah. 1956: Senator John F Kennedy speaking at the Irish Fellowship Club in Chicago indulged in just a little blarney! “It is also fitting that we remember at this time three requests granted St. Patrick by the Angel of the Lord, in order to bring happiness and hope to the Irish: first, that the weather should always be fair on his special day to allow the faithful to attend the services of the church; secondly, that every Thursday and every Saturday twelve souls of the Irish people should be freed from the pains of Hell; and third, that no outlander should ever rule over Ireland. The wannabe President also provided some commentary on international policy in quite a wide ranging speech. 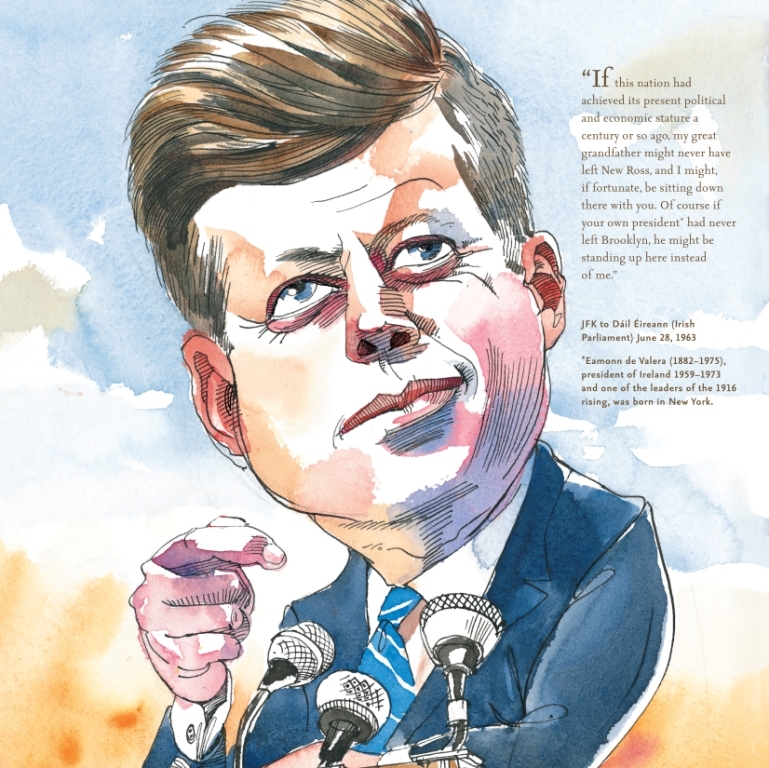 For full speech see JFK Library. Kennedy quoted from a poem by John Boyle O’Reilly.